As far as designs are concerned, then the mind will automatically go to all those artistic elements of design for instance shapes, hues as well as balance. But it has to be kept in the mind that beauty of lucrative designs are much more profound than it appears. And this is further intensified when an appreneur looking to hire the top rated mobile application Development Company. With the help of good designs, it ends up having confidence a visitor will gain as far as the website is concerned. And certainly it would have a trickle-down effect on the business. But we are dealing with the more and more daily business interactions, it’s never have been too hypercritical in order to offer users with smoother digital experience. Users are now looking to expect an optimised user experience for the fundamental requirement and hence it has fallen as a gravity as far as obligatory implementation strategy is concerned across all the platforms as well as devices. As far as efficiency of the digital products with the crunching numbers are implicated, nothing can be more significant rather than excellent user experience. Something which has remained unaltered is the appropriate tuning of the well-developed User interface (UI) and User Experience (UX) that is sufficient enough to break the product. Any misapprehension can left the customers unhappy who won’t recommend it further. The anticipated outcome is to properly delineate the concept of User Interface and User Experience in order to stand out of the crowd. In the latest possible moment when the acronyms are unveiled, the people have eavesdropped are actually discussing about the two professions that have evolved through the centuries. Both the concept have been delineated by the tech industries. Both the elements are vital to the product and work closely together. Although it shares the professional relationship but the role is quite distinctive. Currently credit goes to the mobile application development companies who have set their own criteria to further distinguish between the two. 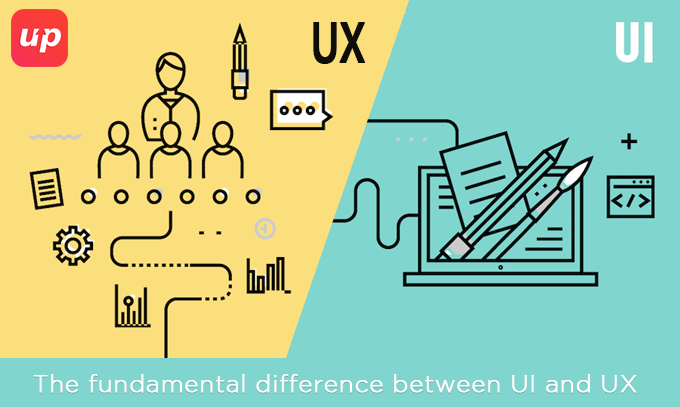 Where UX design is considered to be more analytical as well as belong to the technical field although UI design is somewhat approximated in favour of graphic design although responsibilities are considered to be more complicated. User Experience Design is the process over development and improvement of quality interaction between users and other attributes whereas User interaction is responsible for deployment of brand’s strength as well as visual assets to the product interface in order to enhance the user experience. User Experience design is responsible with the process of testing, research, development, content as well as prototyping in order to test for quality results whereas User Interface design visually guides the user on the product’s interface through interactive elements across all the platforms. User Experience Design is considered to be the theory of non-digital practice but predominantly defined by the digital industries. 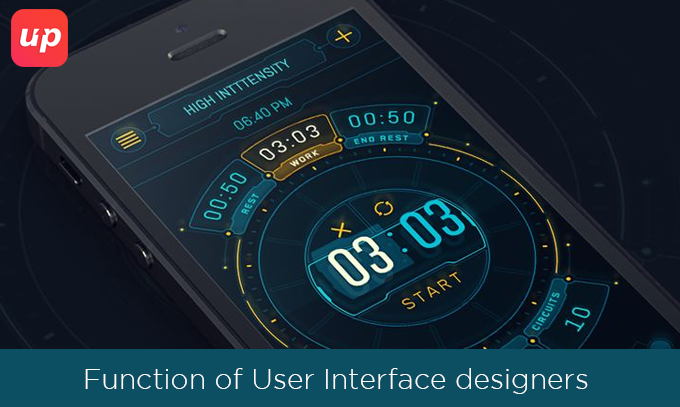 Whereas User Interface is a digital field which includes responsibility for cooperation as well as work with developers or code. Comprehensive research i.e. speaking to the real users considering the target audience about the product. In case product doesn’t exist, then it would all evolve about the similar product and asking what all they are looking from the same product. To understand design and functionality: When it comes to the design, functionality and usability comes to the picture rather than colours or pictures. This can be deduced with the comprehensive research took place by the UX designer. Testing is considered to be crucial in order to eliminate user difficulties that were not expected before getting on the implementation stage. Implementation is the stage where designers need to work intimately with the developers in order to transform the ideas into reality and hence this would be deciding approach which would determine the success or failure of the project. Although the responsibilities of UX are already decided in a top rated mobile application development companies. But it does not put full stop here. There are some other roles that are under the umbrella of UX design i.e. performing usability tests, data analysis, information design and UI architect apart from regular responsibilities of UX design. Function of User Interface designers. It looks to capture the requirements as far as user interface by including usability requirement is concerned. In order to derive usability reviews and use testing sessions, it looks to involve other stakeholders of the user interface. It even reviews and rendering the appropriate feedback putting on the final implementation of the user interface as per the creation of developers like designers and implementers. 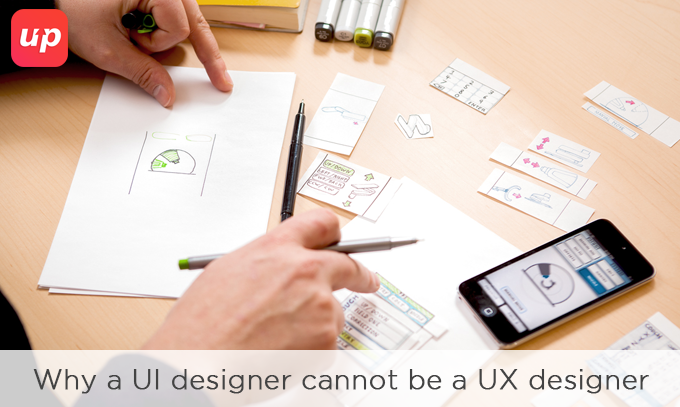 Why a UI designer cannot be a UX designer? 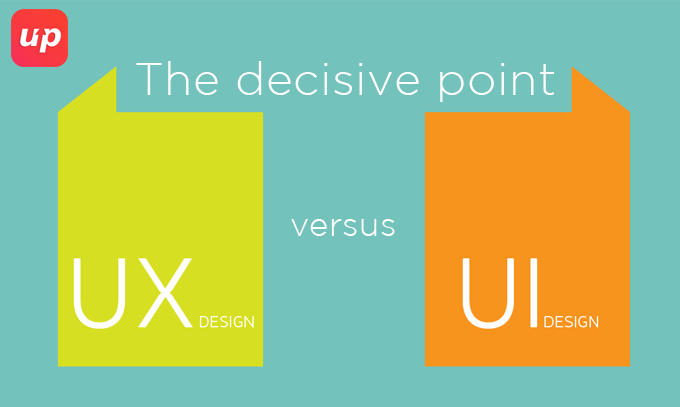 Hence UX is considered to be the user’s journey to unriddle the problem and UI is focused on the product’s look from the surface as well as its function. Hence UI and UX designers work closely together although on a separate task in order to build a product that is efficient enough to achieve the ultimate goal. Hence without a well-crafted interface, it barely matters how accurately UX designers understand the needs of their customers. Likewise a lucrative interface can’t relieve a product that has not the understood the ultimate requirements of the intended users. So, this is the ultimate responsibility of the top rated mobile application development companies to understand the roles and responsibilities of UI and UX and do not get confused instead. Fluper is a top website and mobile design and Development Company in Noida typically understands the difference between UI and UX designers. So, in case you have any doubt or suggestions to give, then our representatives are here to cater all your doubts and feedbacks. Next articleHow to boost your venture with cross-platform mobile app development tools?